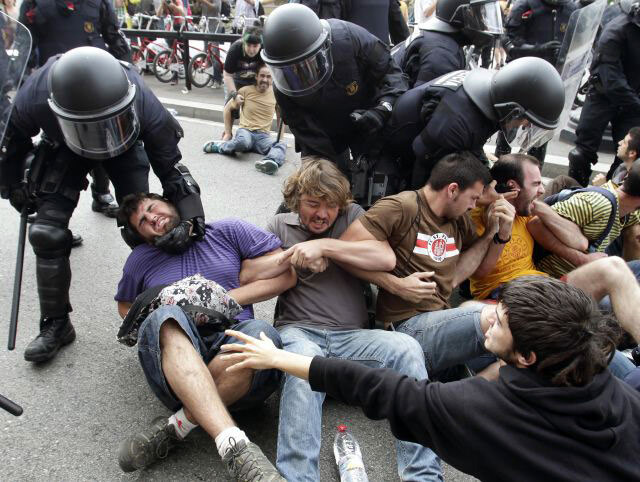 Protesters in Barcelona learn that pacifism is not a very practical way to resist. The basic premise of this book is that advocates of pacifism have lost the debate over tactics and strategies used by social movements, and only those that have used a diversity of tactics have been successful. A promising premise and even more promising title, considering the recent manifestations of revolt and protest that characterized the Arab Spring and Occupy movements, and the “official” pacifist narrative that portrays these as victorious examples of nonviolence. Since these two movements are both recent and have served as inspiring examples for a new generation (including, it could be argued, the Idle No More wave of protests), the task of unraveling the false narratives pushed by pacifists seems both timely and highly relevant. Unfortunately, of the 306 pages that comprise this book, only about a dozen or so actually focus on the Arab Spring and Occupy. Instead, Gelderloos includes these mobilizations in a list of others, ranging from the 1990 Oka Crisis to the 2012 Quebec Student Strike, in the third chapter, “Revolutions of Today.” This list includes struggles that used a diversity of tactics (including violence), as well as those that imposed strict nonviolence, such as the so-called “Colour Revolutions” in the Ukraine, Georgia, and Serbia, during the early 2000’s. On the other hand, an entire separate chapter is devoted to these “Colour Revolutions,” and another one for the Real Democracy Now movement in Spain during 2011-12 (the indignados, which inspired the Occupy Wall Street protests across the US). While these examples have lessons about the failures of nonviolence, the authoritarian nature of pacifist organizers, and the importance of elite support for pacifist “revolutions,” etc., I don’t think they are particularly strong examples, especially for a North American audience. While it may be important to be aware of the “Colour Revolutions” and the Real Democracy Now in countering pacifist myths, I would have preferred to see a larger focus on the Arab Spring and Occupy as examples of pacifist failures. 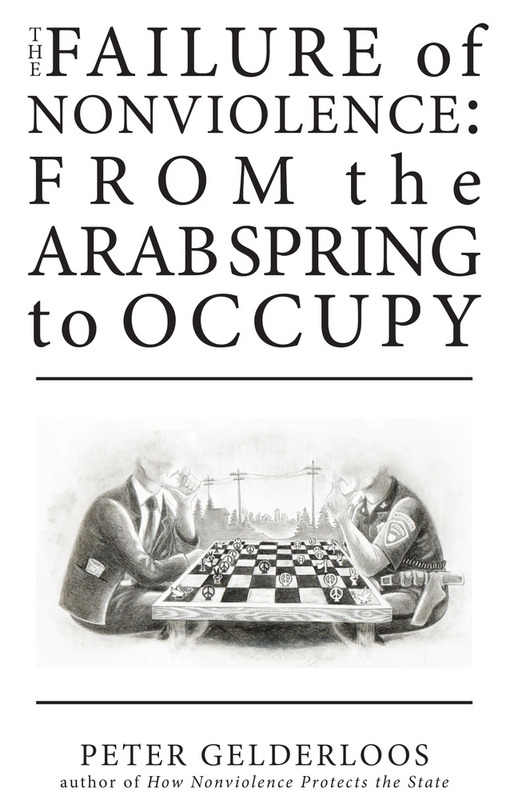 The Arab Spring, because it was an inspiring catalyst for other social movements (including Occupy), and because it saw such high levels of self-organization and violence directed against the state and its police forces, and Occupy because many of the readers of this book are most likely to have been involved to one extent or another and would therefore be able to intimately relate to the material being discussed. In fact, Occupy gets only the briefest examination, a total of 1 and a half pages. There’s no factual information presented, not even the date that Occupy Wall Street began, how many people were involved, or how many were arrested. Nor is there any narrative of how Occupy spread from Wall Street across North America a month later, and how it was quickly dismantled by the slightest state repression. There’s no documentation of call outs, discussions or debates that occurred within the movement. Occupy Oakland, the most militant and probably one of the longest lasting, is mentioned in just one sentence. By not investigating Occupy more closely, Gelderloos misses a prime opportunity to show the failings of nonviolence in a movement many potential readers participated in, and for whom his critiques would have had far more relevance. Gene Sharp, university professor and professional pacifist; couldn’t fight his way out of a wet paper bag and recommends you don’t either. It’s an odd list, to be sure. And while intellectuals such as Sharp, Kurlansky and Hedges should be highlighted, “movement musicians” is a dubious choice (3 pages focusing on folk punks who have a very limited audience) , as is Judge Aiken (after all, how much influence did her sentencing statement referring to Gandhi have in promoting pacifism in social movements?). Just one page is dedicated to the US military advocating, organizing and funding pacifist campaigns, and this is mostly in passing, with little documentation or investigation. Despite these shortcomings, in my opinion, The Failure of Nonviolence is an important book. The title itself is a powerful statement, even if the subheading (“from the Arab Spring to Occupy”) is somewhat misleading. For while the pacifist doctrine lost the debate nearly from its inception with Gandhi, and later King, many advocates and adherents of nonviolence continue to rely on a mythological history of pacifist victories. And this mythology, of course, is perpetuated by the ruling class through the corporate media and entertainment industries, educational institutions, and official histories. All in all, Gelderloos does a good job in providing an overview of the failures of nonviolence over the last 25 years or so, while highlighting the successes of movements that used a broader diversity of tactics. Now, as social tension and conflict continue to deepen, and as more and more people begin to question the legitimacy of the system itself, books such as The Failure of Nonviolence are more important than ever in exposing the truth about pacifist doctrine and the necessity for real resistance movements to embrace a diversity of tactics. I would also recommend another Gelderloos book, How Nonviolence Protects the State (South End Press, 2007). 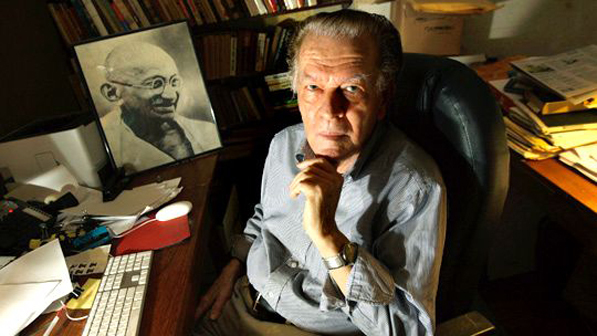 Posted on August 11, 2013, in Decolonization, Review and tagged Failure of Nonviolence, nonviolent civil disobedience, pacifism, Peter Gelderloos. Bookmark the permalink. 4 Comments. I’ve always struggled with the ideas of non-violent tactics vs. violence/force. When it comes down to it, there’s a lot of emphasis on definition. Some people even believe destroying property is violence. I think the main point to focus on, is a difference between forms of pacifism, and a form known as ‘active pacifism.’ I’d say the idea of ‘active pacifism’ is redundant, and actually counter-productive at times, but using strict non-violent practices in daily life and finding new ways of interacting with people/educating plays a big role in attaining any sort of class consciousness, awareness, or whatever you want to call it. Without that, you don’t have the support of the non-militant people who also want change. There needs to be people in every part of the society to propagate the ideas of freedom, and fan the flames. Most successful revolutions were created through class consciousness and workers uprisings, which weren’t necessarily violent, until of course the political parties get involved. Defense is defense, but to bring ‘power to the people’ usually means ‘power over the other people,’ which from the anarchist perspective should be avoided. From the communist perspective, of course, they wish to gain that power. Every country is different in it’s political climate and struggles. Gelderloos makes some good points, but in my opinion by lumping things together and generalizing, he loses the grounds for creating a clear picture of what the proper tactics should be. Even just by the name of the book, one would question, ‘so, if these movements were violent, they would be successful?’ Which is not necessarily true. I think Gelderloos’ point is not that movements that were violent were successful, but that those that used a diversity of tactics were. I think Gelderloos is focusing on the more recent neo-pacifists because they seem more relevant to today. And in some respects these people have distanced themselves from Gandhi and King philosophically in that they claim to be scientific, not religious, pacifists. A close examination reveals that they actually DO come from highly religious backgrounds (Hedges was a divinity student, Sharp’s father was a minister) or engage in magical thinking in their analysis.